One of the long-standing concerns of the board of trustees and the board of directors of the institute in recent years has been the lack of physical space of the center and providing camps for the leisure time of the loved ones settling in the center. 1. Creating a center for mentally retarded girls of average intelligence, with the capacity of 100 people, on the land donated by Zare family with an area of 2050 square meter. 2. 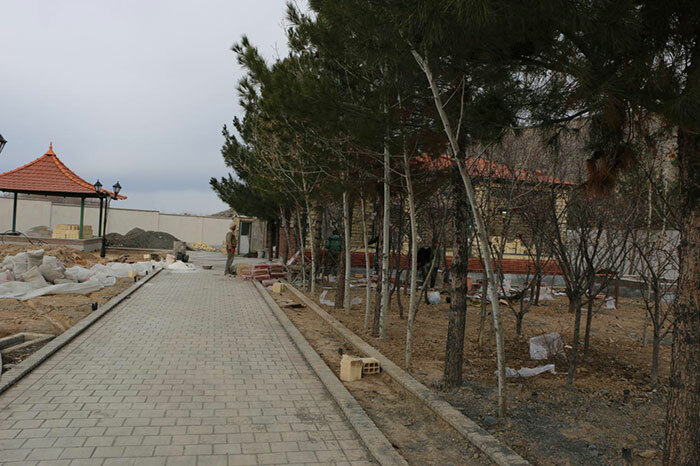 Creating a special recreation and educational camp for the disabled in the whole country, given by the donators in the area of 5420 square meter in Shandiz road. So far, 3000 square meter of the land has been developed including waterfront, playing fields and green space with the support of the donators and the officials. 3.The use of dedicated land with an area of 14000 square meters in Tous Blvd. based on needed permissions from Social Welfare and Rehabilitation Organization for the future developing plans of the institute. In the end, it should be noted that the development projects of this institute require the help and support of the donors and all the intellectuals in the holy city of Mashhad and other parts of the country.